2 1/2" closed lockback. VG-10 stainless blade with thumb hole pull. 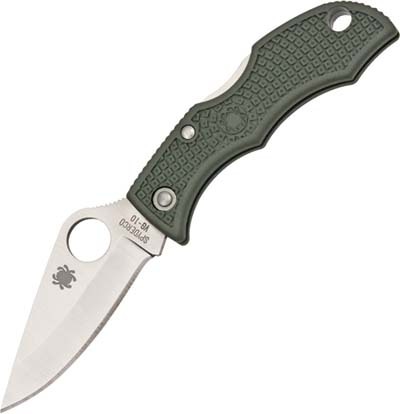 Foliage green lightweight fiberglass reinforced nylon resin handles with hole for keychain.